Bodog was formed in 2000 by Canadian entrepreneur Calvin Ayre. He deliberately chose a non-gambling related name for the company, as he didn’t want to limit the scope. Bodog business made moves into music, TV and even coffee alongside their famous sportsbook. However, it was the gambling side of the company that thrived, and Bodog quickly became a market leader. In this time, they would also make a move into poker and casino gaming. Due to legal wrangles, Bodog had to rebrand for customers in the US, and these users were moved over to Bovada, which uses the same software and design. The Bodog casino is now exclusively for the use of Canadian players. The majority of games offered at Bodog casino are supplied by Real Time Gaming, although you’ll also find 3D slots supplied by BetSoft. You’ll have a choice of either playing directly in your browser for the instant casino experience or to download the software and launching from your desktop for the entire casino suite. The site offers a one-wallet system where you’ll be able to move money around from the casino, poker site, and the sportsbook quickly and easily. The casino software is rigorously tested and has been certified by Gaming Associates and the Bodog casino is licensed in Antigua. You’ll find two version of Roulette at the Bodog casino – American Roulette and European Roulette. The key difference between the two games is the fact that you’ll find two zeros on an American wheel and just one on the European wheel, meaning the house edge is larger when playing the US version (5.26% compared to just 2.70%). As such, playing the European version is recommended. 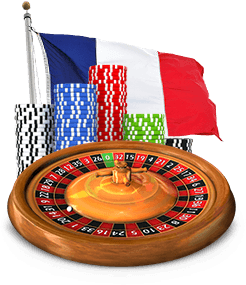 You’ll also find call and announce bets commonly associated with the French version of roulette in the European version. The game itself features a large wheel in the top left-hand side of the screen with the betting area covering much of the rest of the screen. Betting is simply a case of clicking the chip amount and clicking again where you want to place the bet. After hitting spin, the ball is set in motion, and you’ll see a close up of the relevant part of the wheel when the ball finally comes to rest. Handy options include being able to repeat a bet and clearing both individual bets and all of your bets. You’ll find a variety of casino options at Bodog but perhaps the most eye-catching section of the site are the slots. You’ll find both standard slots and 3D slots and you’ll have the ability to win some big jackpots when playing these games. The 3D slots are particularly good, offering stunning graphics and a great gameplay experience. You’ll also find eighteen types of video poker and eleven blackjack varieties at this site. Other games available include Baccarat, Craps, Keno, Sic Bo and Bingo. You’ll find a variety of deposit options at Bodog. For many users, Visa and MasterCard credits will be the option of choice. Other options include digital wallets like Neteller, PaySafeCard, Click2Pay, Skrill, BillPay, direct bank transfer and an Interac e-Transfer. 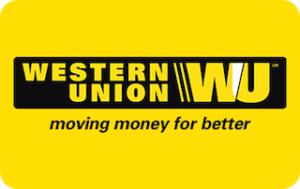 Withdrawal options include an old-fashioned check, a direct bank transfer and you may even be able to withdraw back to a Visa credit card having already deposited with the card. You’ll receive up to $600 in bonus cash when you sign up at the Bodog casino. This is via a 100% match bonus – with $400 available on slots and $200 on other casino games. Unfortunately, your roulette play will not count towards any clearance of the bonus. You’ll find a lot of promotions at the site on offer for all users. When playing blackjack, you’ll be entered into a weekly draw to win $210 when hitting blackjack. Table game Tuesdays offer something for the roulette player with $10 in bonus chips available. On a Wednesday you could gain an extra $15 when playing on selected slots. You can also gain a 100% match bonus when making a deposit on a Thursday, up to a whopping $500. 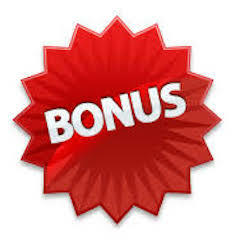 While claiming all of these bonuses and promotions you’ll also be earning comp points in the Bodog rewards program. You’ll earn 2 points for every $10 wagered on the slots, 1 point for every $25 wagered on single and double deck blackjack and 1 point for every $10 wagered on every other game (including, of course, Roulette). These points will be converted into bonus chips which will automatically be loaded into your bonus account every other Friday. Bodog has an impressive casino, with a great range of games and you’ll be particularly attracted to the amazing 3D slots. The roulette offering of just two games is much less than you’ll find at some rival sites, however, the games are very playable and offer a good roulette experience. The bonuses and promotions will give your bankroll a boost, although they could go further for roulette enthusiasts.